While not without some minor hardware and software flaws, the Vengeance 1500 is by far the greatest USB headset I've ever had the pleasure of reviewing. Glancing at the spec sheets for the Vengeance 1500 and the HS1 that came before it last year, you’d be hard-pressed to find any differences apart from the slightly-improved dynamic range. Probably because there aren’t any. No, the key differences between the two headsets would appear to be limited to design, the most obvious difference being that the Vengeance 1500 actually looks like a gaming headset. You know, flashy with a splash of blue. Thankfully the application of a faux brushed alumimum exterior, blue earcup rings and light blue stitching was a tasteful one, far from what I’d consider gaudy. It may not seem all that important, but this minor tweak marks the difference from seeing yet another black headset at a LAN party to seeing a Corsair headset – something that Corsair’s brand image desperately needed. The Vengeance 1500 excels in both comfort and durability. None of the moving parts squeak as they do on Logitech’s G35, the plastic seems thick and flex-resistant, and yet the headset remains light enough to wear for hours on end whilst I get carried away in Skyrim. The oversized circumaural earcups combined with memory foam padding and an overstuffed headband make this one of the most comfortable headsets I’ve ever worn, second only to Razer’s Megalodon. The Vengeance maintains a tighter seal than the Megalodon does, however, making it much better for immersion or tournaments at the expense of not being able to hear LAN buddies across a table without Ventrilo. My roommate frequently has to tap me on the shoulder to get my attention anymore if I have the music turned up. That said, pinching just below the ears above the jawbone can pose a problem if the headset is not properly adjusted. It took a good two weeks of using these cans before I found the right sweet spot that I didn’t have to take them off for a short duration after a couple hours of use. My trick is to keep the headband length shorter than usual. The cloth-wrapped earcups are nice and breathable, so I didn’t have any trouble with my ears overheating. Another change for the Vengeance over the HS1 is that the microphone is now attached directly to the earcup as opposed to the headband, allowing it to get slightly closer to the mouth. 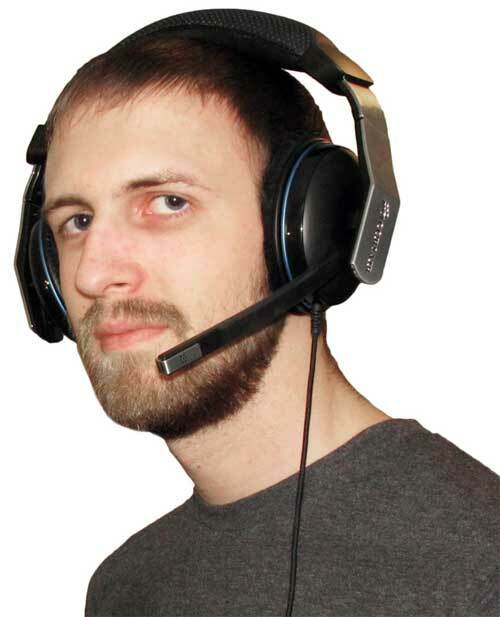 Like any good headset, the Vengeance allows the mic to swivel down to chin level or placed up alongside the headband way when not in use, though for better or worse it cannot be detached. The mic has a degree of flexibility similar to the Megalodon in that you can position it closer to or away from your face as desired, but the design is rigid enough that it won’t flap around like Creative’s Sound Blaster Arena did. The 3-meter cable is covered in braided fabric and is as flexible as a shoestring, but this has the added danger of attracting my cat’s jaws more than any other headset I’ve used in the past. About half of a meter down the cable is a digital control pod that looks to be the same as the HS1’s pod, featuring two large buttons for volume adjustment and a microphone mute button. Rings surrounding the volume buttons will light up blue whenever the headset is plugged in, and will change to red if the microphone is muted. A way to quickly mute the headset is unfortunately missing, as is a clip to attach the control pod to clothing. As far as LAN party travel is concerned, the only nod that we get from Corsair is a permanently-affixed Velcro cable wrap midway down the cable. The earcups will fold flat, but no longer fold inwards as they did with the HS1. Though this certainly isn’t a deal killer, it’d still be nice if Corsair were to include a cloth carrying bag or hardshell case as some other headset manufacturers do. Oh well, at least the original box seems durable enough and easy to package. Tying into the introduction of Corsair’s Vengeance product line is a revamp of the software drivers that came with the HS1 headset. Currently at version 1.1, Corsair’s new drivers power the same C-Media CM6302 audio chip, but reskin the interface to give a unique, minimalist look that fits everything into a single page. Sadly this reskin comes at a loss of C-Media’s Karaoke and voice changing effects that hardly anyone uses, along with the standard EAX 2.0 effects that make music sound like it’s from the inside of a concert hall or shower stall. The drivers do offer a nice 10-band equalizer to play with though, along with a list of five presets that take into account the physical drivers’ own characteristics as explained by Corsair. The default EQs stand up well enough on their own, but there’s always the option to tweak or create your own. On the right-hand side of the driver window are three DSP modes for the headphones: Bypass, Dolby Headphone for 7.1 surround, and the Xear3D 7.1 Virtual Speaker Shifter that’s ubiquitous on all C-Media and Asus Xonar sound cards. The space underneath these buttons changes depending on the active mode; Dolby Headphone allows for changing the virtual room size, while Virtual Speaker Shifter enables custom speaker placement to increase or decrease volume of the individual channels – handy for tweaking the center dialogue channel, or raising the volume on the rear speakers. Given that this is Corsair’s first attempt at reskinning the standard C-Media driver package, it should come as no surprise that there are a couple of small bugs to be encountered. In a standard C-Media driver installation, the Dolby Headphone and Virtual Speaker Shifter DSP effects could be combined. In fact on my Asus sound card, you can’t select enable Virtual Speaker Shifter without enabling Dolby first. In Corsair’s instance, however, it’s an either/or situation, and enabling Speaker Shifter on its own only makes for an awkward implementation of Stereo. When Corsair fixes this oversight and allows for combination of the DSPs I’m sure it’ll be incredibly handy, but until then the Speaker Shifter is dead weight. The other flaw I noticed with the current v1.1 drivers is with the implementation of Pro Logic IIx, a Dolby technology that upmixes stereo, quadraphonic or 5.1 sources into 7.1 surround. Logitech’s G35 manages to do this automatically whenever the Dolby switch is turned on, whereas C-Media products including Corsair headsets require manually setting the number of “input channels”. Stereo content will sound soft and weak in Dolby mode unless the input channels are configured accordingly. 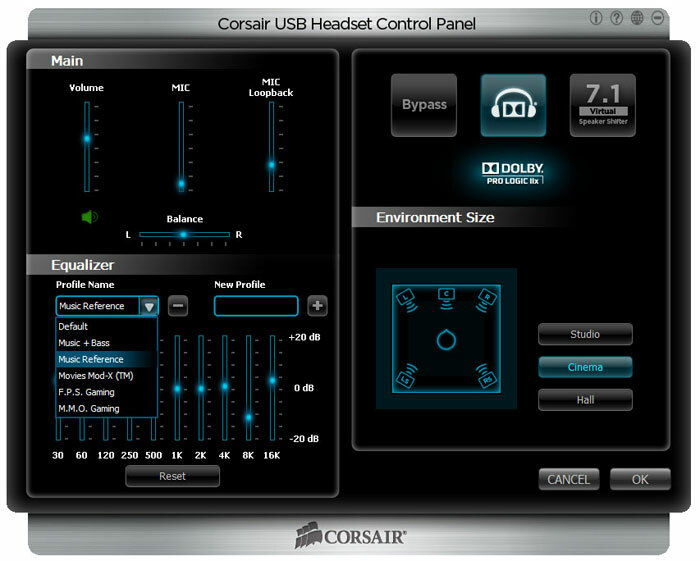 There used to be a function to do set the input channels in older drivers for Corsair’s HS1 headset, but this has been removed in the v1.1 drivers. Fret not, you can still set the input channels in the Windows Sound control panel. Select the Vengeance 1500 and hit the configure button, then pick the desired channels and click next a bunch of times. After this is done, the Pro Logic IIx logo will light up in the Corsair driver panel. Be warned, however, that switching to Bypass or 7.1 Virtual Speaker Shifter mode and then back to Dolby Headphone will reset the speaker configuration to 7.1 mode. I’ve emailed Corsair about these two flaws and they’ve acknowledged that the Engineers are aware of the problems and busily cracking away on an updated driver. That said, no timetable for release was provided nor were any indications of what fixes would be implemented. Personally, I’m willing to write these off for now as a minor inconveniences, forgivable mostly because the headset sounds so damn nice. But they do need fixed. With the headset in Bypass mode and the equalizer set to Corsair’s “Music Reference” profile, I was blown away by how clear the Vengeance 1500s sounded. Bass, while not all that deep, was exceptionally clean and blended well with the clear highs and prominent mids as I took yet another journey through Tool’s 10,000 Days, Pink Floyd’s The Wall, and Nine Inch Nails’ The Fragile. It’s incredible just how many subtleties the 50mm drivers in these headphones allow you to pick out in these nuanced albums. The quirky chiptunes and sharp guitar solos that I love so dearly also benefited from the Vengeance 1500’s relatively flat profile, though I found myself switching to the “Music + Bass” profile to bring out some extra oomph for listening to my Demoscene and Trance collections. Tweaking the 30 and 60Hz bands a few notches higher brings out even more oomph to the point where I could physically feel the bass kick, but amazingly the bass-heavy Dr Greenthumb track from Cypress Hill managed to retain its clarity. To put it simply, the sound reproduction on the Vengeance 1500 is the best I’ve seen on any USB headset that I’ve reviewed to date. The debate rages between gamers about whether pure surround sound or virtual surround sound is better. (Debating gets much more intelligible once the virtual surround critics count their own ears.) As I see it, true surround can offer a somewhat better sense of spatial awareness since the placement of the physical drivers still relies on the positional cues that your ears have naturally adapted to since infancy. Virtual surround on the other hand uses an HRTF for a generic ear that most but not everyone can process, requiring a smallish learning curve before sound location becomes second nature. The main advantage to virtual surround is that since all sounds are produced from the same large physical drivers, the sound is much more even. In-game characters behind your person don’t sound like they’ve suddenly gone through reverse puberty like they would on a “true” surround headset’s 20 or 30mm drivers. Virtual surround also has the added benefit of fewer electronics in each earcup, helping to reduce weight and keep potential points of failure to a minimum. The Vengeance 1500 makes use of Dolby Headphone to produce virtual surround, and it does a tremendous job of spatialization – a good deal better than the Megalodon and on-par in excellence with the G35. Separation and crossovers are top notch, and can be somewhat tweaked to preference by increasing or decreasing the room size. I personally preferred the middle “Cinema” setting. Watching epic movies like Return of the King with these headphones is an absolute treat, but for DVDs it’s necessary to set the Windows speaker configuration to 5.1 beforehand. There’s still a sense of surround in 7.1 mode, but the application of Dolby Pro Logic IIx delivers a much more enveloping effect by placing the rear surround channels further behind the listener. 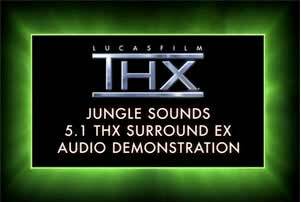 This was especially evident when listening to the THX Jungle Sounds demo, where the helicopter and fly seemed to never cross behind my head without Pro Logic IIx enabled. Music in Dolby Headphone mode was fairly appreciable, helping to reduce ear fatigue over extended listening sessions and generally keeping the original tone of the song intact. The surround effect gets even better when listening to live albums. Of course, this is dependent that the Windows speaker count is set to Stereo lest it sound awful. There’s a few cases where the overall feel is degraded by Dolby Headphone such as Machinae Supremacy’s Winterstorm where the already echo-y melody is made to sound hollow, but these are few in number and don’t sound half as bad as how Creative’s CMSS-3D mangles stereo. I personally found little fault when listening to Nectarine Radio with Dolby Headphone enabled all night, but I imagine this will mostly come down to personal preference. If there’s one thing that surround gaming headsets have in common, it’s that they all have completely different levels of game compatibility. Some games have working surround sound, others don’t, and a few are even known to rotate the soundfield 90 degrees so Front becomes Left. It’s crazy, and unfortunately not everyone is aware of these problems, sometimes not even the manufacturers. A couple years back I found myself pointing out to a vendor at Quakecon that their flagship headset couldn’t support surround in the Quake 4 demo they had running. Yes, for two days everyone who came to their booth to experience surround sound was listening to a placebo effect. And honestly with the way that games handle Stereo anymore, I can’t really blame them for believing it in such a noisy environment. This is why I place such a strong emphasis on testing compatibility with as many games as possible, even the popular but oh-so-trashy ones like Modern Warfare 2. I do this by standing next to a static noise source like an open flame or a talking NPC, and rotating my in-game character to hear the HRTF. Tossing grenades or breaking glass and quickly turning are other techniques I’ll use, and sometimes I’ll even do quintuple-blind tests just to make sure I’m not falling for a placebo effect myself. So without further adieu, here are the compatibility results for Corsair’s Vengeance 1500 headset in a record 36 tests under Windows 7 x64. All these tests done on the Vengeance 1500 were carried out on a Windows 7 x64 PC. Battlefield 2 Fail All combinations of settings result in stereo sound. Battlefield: Bad Company 2 Pass Surround works okay. Battlefield 3 Pass Surround works great! Ensure that Enhanced Stereo is disabled. Call of Duty 4: Modern Warfare Pass 5.1 works great with surround coming out of rear channels! Call of Duty 5: World at War Pass 5.1 works okay if selected in Windows Sound control panel. 7.1 can be selected but front and back are indiscernible, unlike the Razer Megalodon which can do 7.1 just fine. Call of Duty 6: Modern Warfail 2 Pass 5.1 works great with surround coming out of rear channels. Call of Duty 8: Modern Warfare 3 Pass 5.1 works okay with surround coming out of rear channels. Counter-Strike: Source Pass 7.1 works great! Crysis Warhead Pass Surround works great! Darksiders Pass Surround works okay. Dead Space Pass 5.1 works great with surround coming out of rear channels! Dead Space 2 Pass 5.1 works great with surround coming out of rear channels! Deus Ex: Human Revolution Pass Surround works great! Elder Scrolls V: Skyrim Pass Surround works great! Enemy Territory: Quake Wars Pass Surround works great! Fallout 3 Pass Surround works great! Fallout: New Vegas Pass Surround works great! Grand Theft Auto IV Pass 5.1 works great with surround coming out of rear channels! Half-Life 2 (no episodes) Pass 7.1 works great! Killing Floor Fail All combinations of settings result in stereo sound, even after redirecting OpenAL by removing DefOpenAL32.dll and disabling "System Driver". Left 4 Dead 2 Pass 7.1 works great! Mirror's Edge Pass Surround works great! Portal Pass 7.1 works great! Portal 2 Pass 5.1 works great with surround coming out of rear channels! Prey Pass 5.1 works great if selected in Windows Sound control panel. Surround sound will not start otherwise, a known limitation of the game. Quake 4 Pass Surround works great! Rage Barely passed There is some level of distinction between front and back judging by the ambient noises in Subway Town, but it is not always intuitive. Red Orchestra 2 Pass Surround works great! Serious Sam HD: The First Encounter Pass 7.1 is especially great against Kamikazes! Team Fortress 2 Pass 7.1 works great! Unreal Tournament 2004 Fail All combinations of settings result in stereo sound, even after redirecting OpenAL by removing DefOpenAL32.dll and disabling "System Driver". Unreal Tournament 3 Fail All combinations of settings result in stereo sound, even using the System32 copy of OpenAL32.dll. The Witcher Pass Surround works okay. *Sheds tear* It’s beautiful, isn’t it? Corsair managed to keep up in an astonishing 32 of 36 tests, just under 90% compatibility. This is very good considering other headsets usually only reach around 75% or so. The only titles it couldn’t handle are Battlefield 2, Unreal Tournament 2004, Unreal Tournament 3, and Killing Floor (a commercial mod for UT2004). I’m a bit saddened that the Unreal series didn’t make the cut, but at least some other Unreal Engine games including Mirror’s Edge and Red Orchestra 2 turned out great. 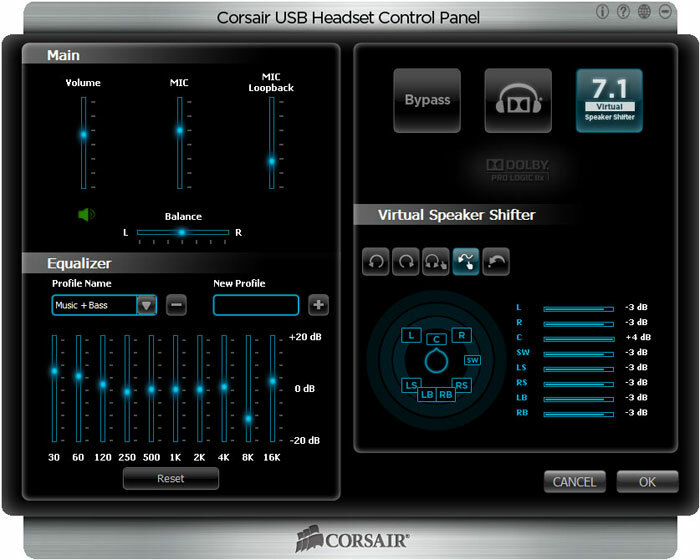 If anything, I consider it strange since Corsair’s older HS1 headset based on the same CM6302 chip reportedly worked in UT2004, though I’m unable to verify this for myself. Battlefield 2 is another beast altogether; I’ve yet to find a USB headset that plays nicely with that game. 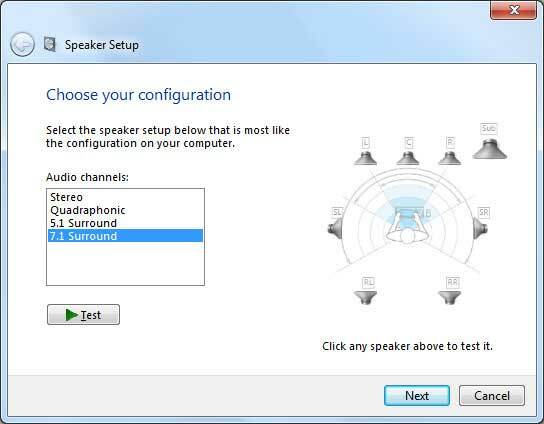 One vital difference between the Vengeance 1500 and other popular headsets that played a huge role with compatibility is the ability to manually set the speaker count in Windows to 5.1. You see, many games are written only for 5.1, and there’s a handful like Quake 4 and Prey that will only initialize surround if the speakers are set to 5.1 in Windows. Having Windows set to 7.1 is a complete no-go for those titles, the very same reason that Logitech and Razer’s offerings can’t support them. So kudos to C-Media and Corsair for keeping things configurable, even if it does mean a little extra work before watching a movie. The quality of surround in-game was largely dependent on the title. In Skyrim, it’s amazing. I get chills from the ambient noise of dungeon crawling, and have come to rely heavily on the surround for hearing footsteps of bandits about to be slaughtered. Bad Company 2, ehh, not so much. Though that game does have working surround it tends to blend the channels together, making it a challenge to distinguish front from back. But that’s a fault with the game, not the headset. What you should take away from all this is that the truly masterful works of sound – Skyrim, Dead Space 2, Battlefield 3, Left 4 Dead 2 – sound absolutely stunning on the Vengeance and make this comfortable headset a keeper. Indeed, the Vengeance 1500 has replaced the Megalodon as my daily driver. The Vengeance 1500’s microphone is somewhat disappointing in that it’s only of average quality. Speech is very clear and easy to understand regardless of what the Microphone’s recording level is set to, though the noise-cancelling properties of unidirectional microphone are minimal at best. Nasal breathing is soft but always picked up regardless of the mic level, as are my mouse clicks, keystrokes and ever-meowing cat. There’s also a soft but constant noise floor that makes the microphone unsuitable for any professional recordings, though VoIP calls and in-game chat don’t really suffer from it. Another problem I noticed with the microphone is that any time an application actively engages the microphone, be it the Windows Sound control panel, Skype or Audacity, a somewhat-noticeable high pitched sound emanates from both earcups. Thankfully, the whine is quickly drowned out by any conversation or game that’s playing. Mimicking the G35 headset that had the same issue only worse for several hardware revisions, the whine is greatly amplified whenever the microphone is muted by the control pod. As such, I’d recommend muting through software or using push to talk as alternatives to the hardware mute. I have fairly sensitive ears and don’t consider this a deal breaker, but some might. Corsair’s Vengeance 1500 is far from perfect, suffering from a middling microphone for the price point and first release software drivers that need some work. Even so, I cannot emphasize enough just how impressive this headset sounds. The 50mm drivers and flat profile do wonders for dynamic range with clean sounding bass, prominent mids, and sharp highs – all without cracking at volume. Coupled with the Dolby Headphone and Pro Logic IIx technology that sound as good as ever, the Vengance 1500 does wonders for surround sound gaming and movie watching. 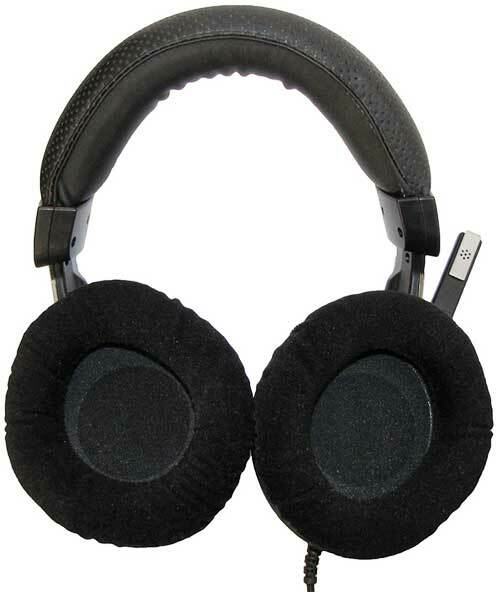 Best of all, the deep circumaural earcups with memory foam padding and an oversized headband make it the Vengeance 1500 extremely comfortable and well suited for blocking out unwanted sound. Highly recommended for only $100.